In mid-June we gathered in Boston to letterpress the covers of this year's winning chapbook, Rosie Forrest's Ghost Box Evolution in Cadillac, Michigan. This year we printed at a new location: Union Press in Union Square, Somerville, enjoying the amazing help of Union Press’ Eli Epstein. Over two warm New England days, we mixed ink, set type, and cranked out over 400 beautiful 2-color covers on a Vandercook press. Highlights this year included working with a large piece of artwork with both empty and ink-filled spaces (the broken windows at grace the cover), and creating a rust-red ink to complement the olive tones of the paper and artwork ink. Though many of Forrest’s stories feature teenagers, there’s a feeling of unease and decay in the background of most of these stories, so we wanted the cover colors and artwork to reflect that rusty, broken atmosphere. The covers came out great and the finished books look amazing, complete with rust-colored endpapers. The book launches August 5, and ordering is available now. 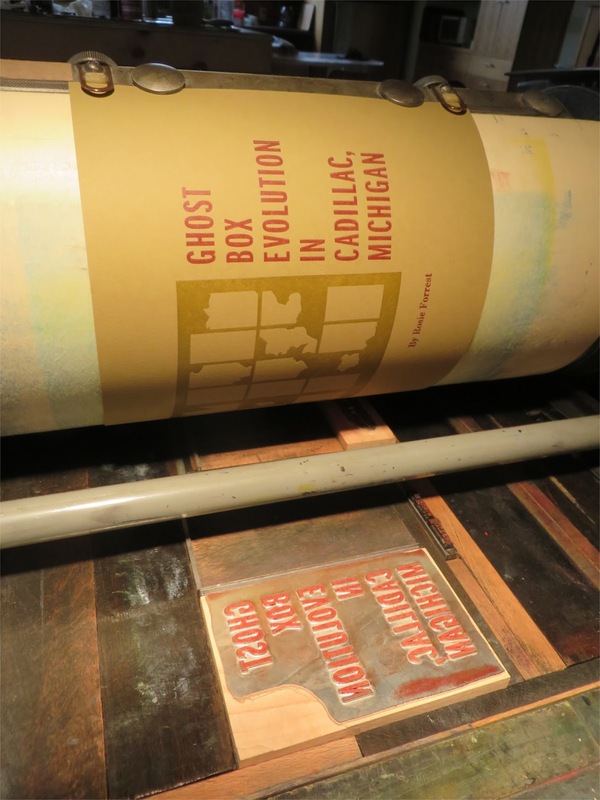 The printing crew at the Vandercook with the finished cover! From left: Kathleen Rooney, Abby Beckel, Rebecca Saraceno, Eli Epstein. Photo by Katie White. 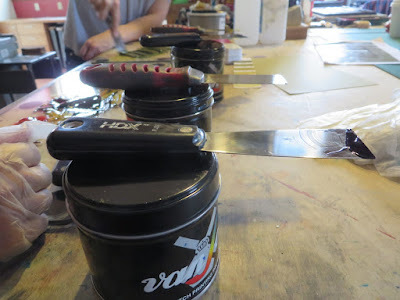 Huge thanks to Eli Epstein of Union Press for his help, expertise, and use of Union Press' equipment and inks. Special thanks as well to Maria DiPasquale for her help printing on day 1 and Katie White for her help printing on day 2! 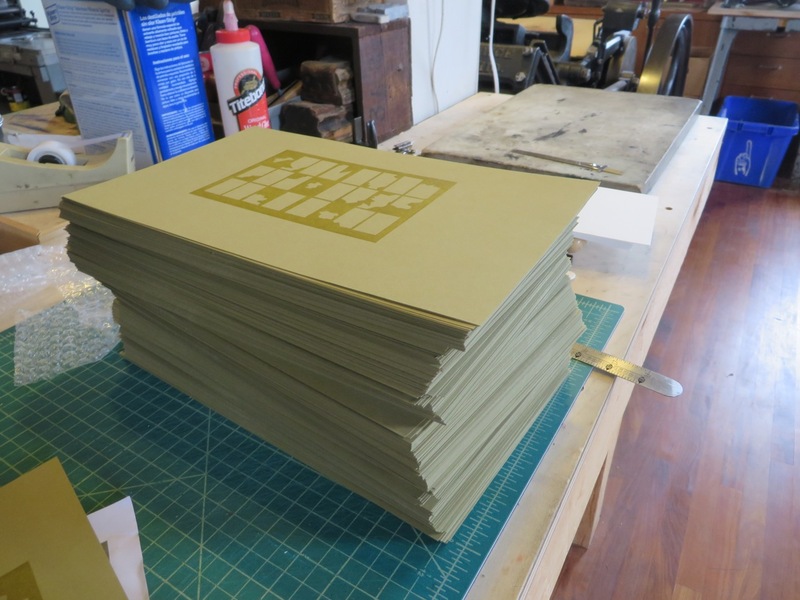 The finished chapbook is now printed and bound and ready to read. 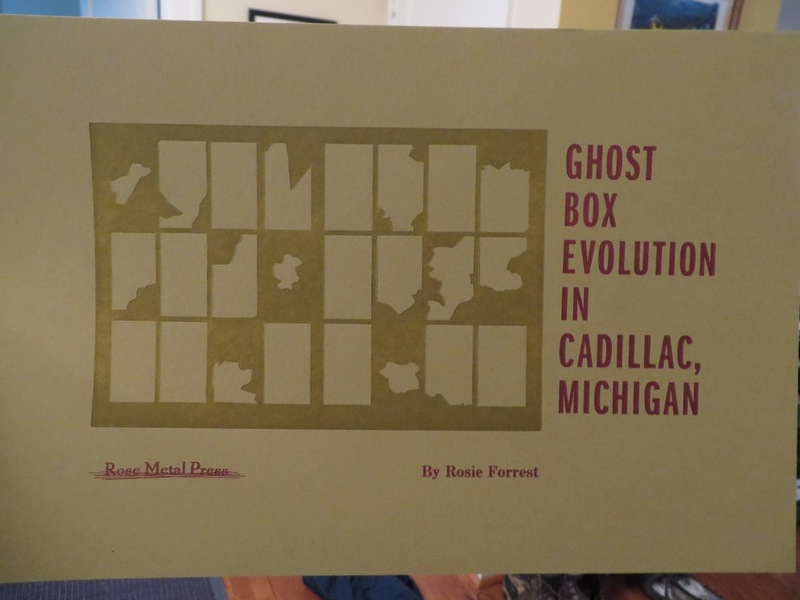 Order your copy of this limited edition contest-winning chapbook! We are grateful for your support, and hope that everyone and every business will have a bright and open future.